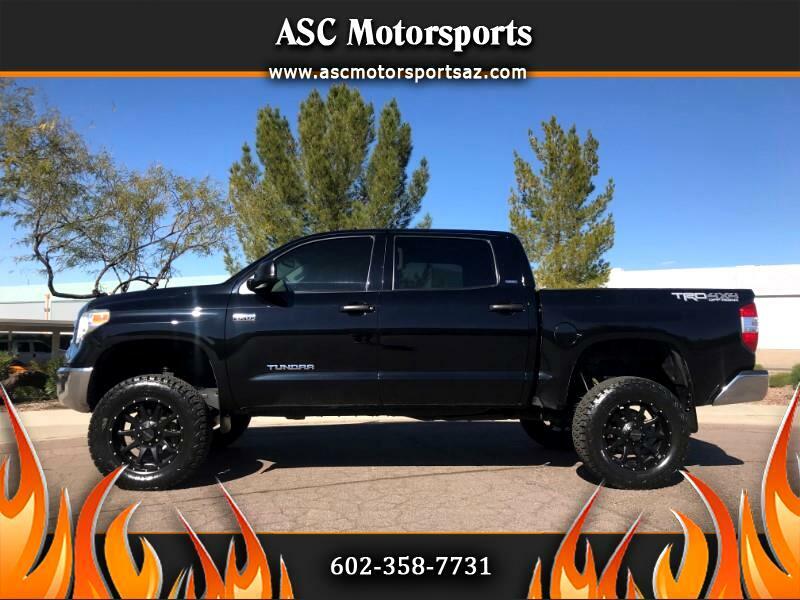 2016 Toyota Tundra Crew Cab Lifted 4X4 5.7L One Owner!!! Stunning truck with 117k miles, black exterior with a black cloth interior, 4 wheel drive, ice cold A/C, power windows, power locks, power seats, power steering, cruise control, tilt wheel, AM/FM stereo, CD player, parking sensors, backup camera, tow package, tinted windows, moon roof, spray in bed liner, sitting on brand new 35" black bear tires and 20" raceline wheel. priced at only $30,888+ tax, title and doc fees!! !